The Business After Business mixer is the best way to make connections within the Abbotsford business community. Bring your business cards and be ready to network with your fellow members! * Socialize over drinks (available by purchase) & appetizers (supplied by the Fraser Valley Bandits)! * Tour the Fraser Valley Bandits' home venue, Abbotsford Centre, which is celebrating its 10th anniversary this year! Join us as we invite you and the rest of Abbotsford's flourishing business community for a night with the Fraser Valley Bandits, who have brought professional basketball back to B.C. by creating an electric atmosphere and non-stop entertainment at Abbotsford Centre this summer. 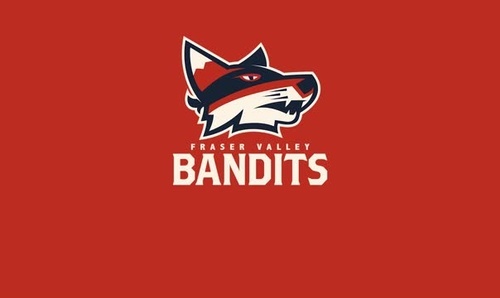 The Fraser Valley Bandits are one of six teams across Canada playing in the Canadian Elite Basketball League, the Official First Division Professional League Partner of Canada Basketball. With a team consisting of 70% Canadian professional talent drawing from the NBA G League, the Euroleague, Canada Basketball, U SPORTS and top professional leagues worldwide, the Bandits are providing a platform for showcasing top basketball talent in front of a tightknit community of family, friends and of course, fans! Whether you're looking for great food, great music and elite basketball as part of a night out in the Fraser Valley amongst family and friends, or looking to impress clients by inviting them to witness some of Canada's top professional athletes, the Bandits are ready to host you at Abbotsford Centre this summer for any of the team's 10 home games between May 9 and August 15. 7:00 PM - 9:30 PM Home Opener - Fraser Valley Bandits vs. Guelph Nighthawks, return of professional basketball to B.C.